Entire volumes of books have been written about this engagement (some devoted solely to Day 2). 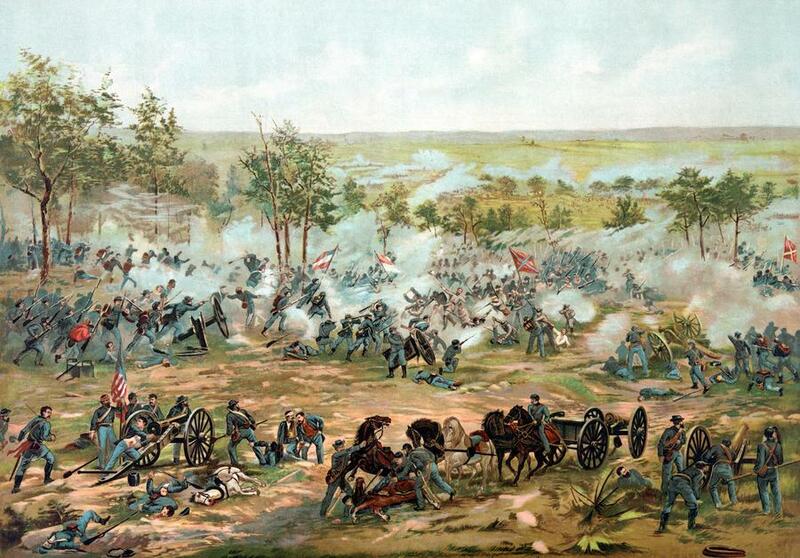 Even now, historians discuss and debate the tactical decisions made at Gettysburg, along with its impact. I have respect for the soldiers and officers of each side. Without regard to their earthy perspectives, those men were only fighting for what they believed was right according to their conscience before God. It is our limited understanding which leads to things like war... but I have to think that in the eyes of the Almighty, any sincere seeking after His will is going to be a credit to those striving to follow Him. In honor of those men, be they Confederate or Union, this blogger salutes them. That's very flowery and movie-like but most of those men were fighting because they were drafted and had to. As in most wars, privileged interests were paid for with the lives of the poor. Especially the US civil war.